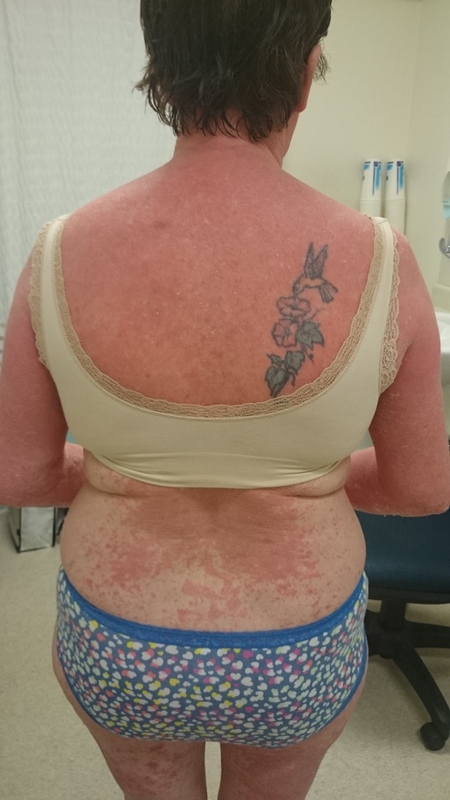 It is a rare scaly red/orange rash which is mildly itchy and can progress to cover most of the body. 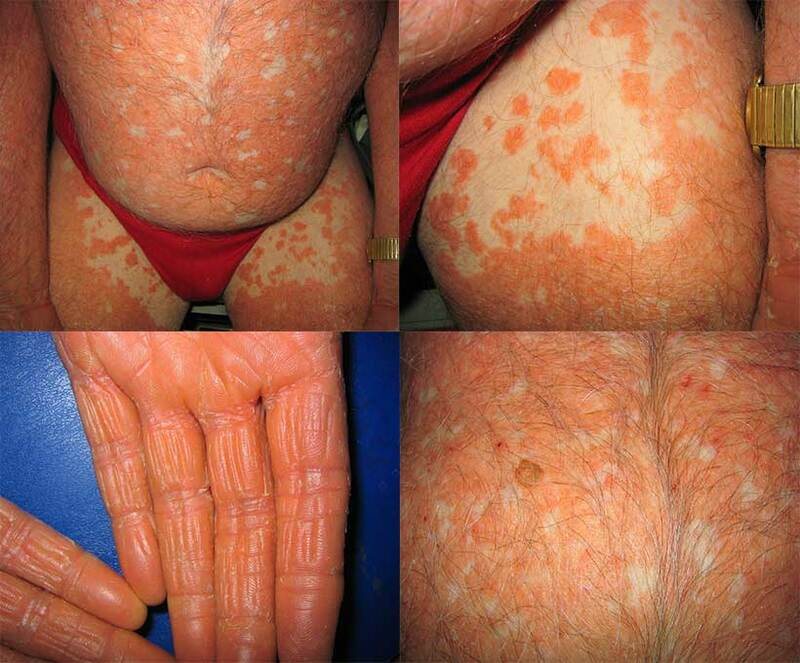 The cause of pityriasis rubra pilaris is unknown. It is not infectious. Most cases occur spontaneously for apparently no reason. On rare occasions it may be inherited and in these cases it usually starts in childhood. The rash usually starts on the head and neck and spreads down the body over weeks to months. 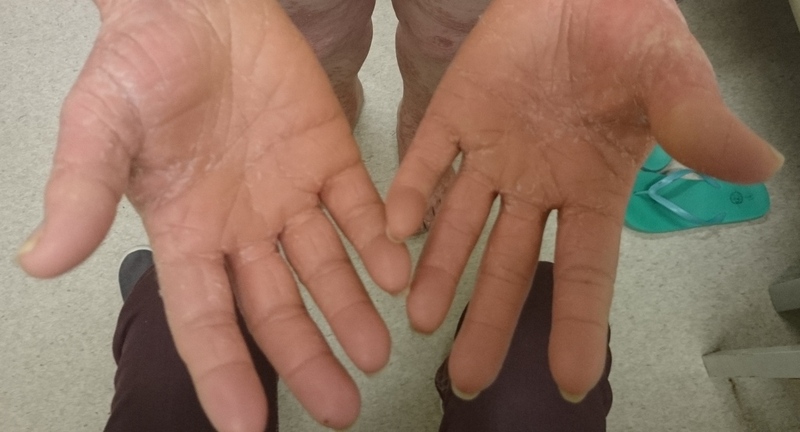 The condition may involve the entire skin surface, including the palms and soles. The patches are orange-red in colour, often with scale and usually have well defined borders. 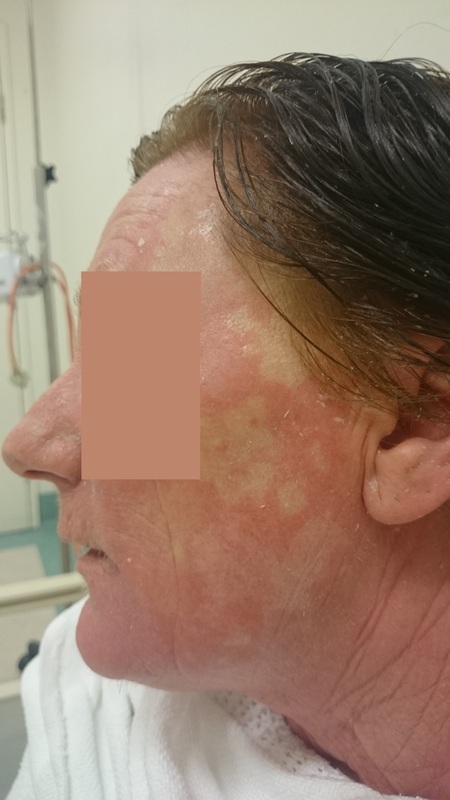 The eruption may be spotty in parts where hair follicles are involved and have areas of normal skin (spared areas) scattered within large areas of rash. What other problems can occur with pityriasis rubra pilaris? 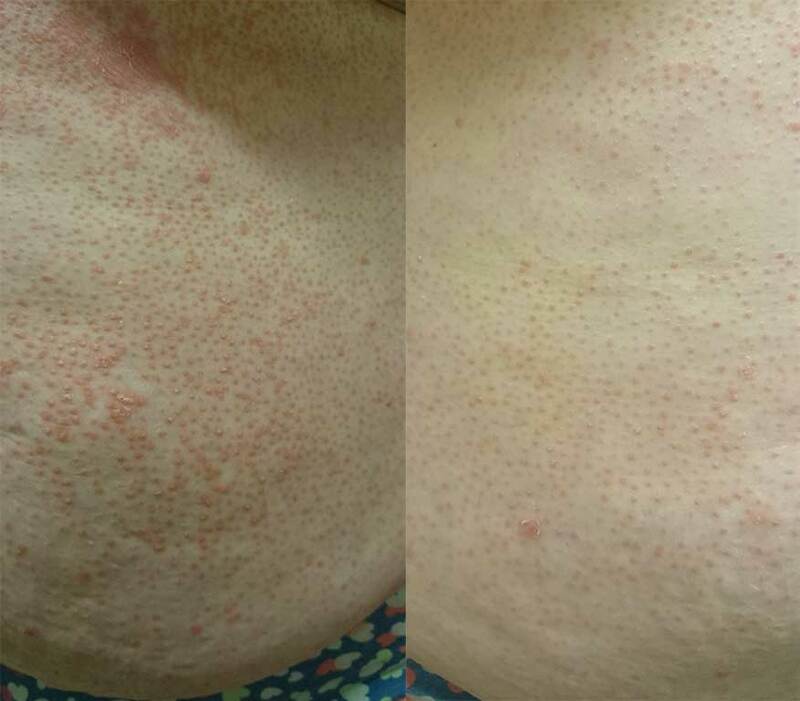 Pityriasis rubra pilaris is usually mildly itchy. However, some people may experience a lot of itch or even a burning sensation. If the entire skin surface is affected then it can lead to problems with internal organs and is usually treated in a hospital until the skin improves. The palms and soles are often thickened and may look waxy and shiny. The fingernails or toenails may be thickened and yellow-brown. The skin may collect extra fluid (oedema) which makes it appear swollen. White areas or small sores can develop on the inside of the mouth. Hair and teeth are usually not affected. How is pityriasis rubra pilaris diagnosed? The diagnosis is usually made by a dermatologist from an examination of the skin and medical history. A biopsy (skin sample sent to the laboratory) can help to confirm the diagnosis and distinguish it from other conditions such as psoriasis which it often resembles in the early phases. How is pityriasis rubra pilaris treated? The condition may need to be investigated and treated in hospital at first. However, once treatment is underway, it is usually kept under control with tablets and creams that can be taken at home with regular monitoring by a doctor in an outpatient clinic. Supportive treatment is important if most or all of the skin is involved. This will include keeping fluids up, maintaining body temperature, applying moisturisers, taking antihistamines for itch and preventing infections. 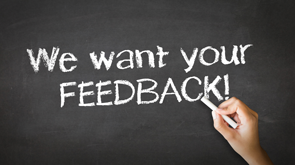 Prescribed creams may include retinoids, corticosteroids or keratolytics (to reduce scaling) and calcipotriol. Usually, oral medications (tablets) or ultraviolet light treatments are needed as well. What is the likely outcome of pityriasis rubra pilaris? Most cases resolve with or without treatment in about 3 years. It recurs in about 1 in 5 affected people, sometimes many years later. Rarely, some cases will persist for many years. The inherited form of the condition (atypical juvenile form) generally persists throughout life. The form associated with HIV infection improves with HIV medication.